Aside from the many more commonly publicized extremes of scale noted in conjunction with Alaska’s Exxon Valdez oil spill, aviation activities in the disaster’s aftermath were undertaken in a quantity, and at an undeniably high quality, previously unknown to industrial emergency operations involving large scale logistics support. Exxon, finding itself suddenly thrust into the epicenter of a seemingly insurmountable environmental calamity, public relations firestorms notwithstanding, was tasked with the almost overpowering challenge of responding to an unprecedented and overwhelming predicament in a realistically constructive way. It was quickly recognized by company officers that the logistics obstacles posed by the prospects of moving a wide-ranging spectrum of personnel and materials to distant and often difficult geographic sites could only be accommodated through the expedient use of a diversified array of marine and aviation resources, and, despite some media interpretations otherwise, no time was wasted in beginning to procure and activate a system which was to accomplish exactly that. Before the organizational phases of Exxon’s response were complete, a virtual armada of aircraft, in excess of 90 participants ranging from light helicopters to C-130s, and comprising an extensively organized air task group supporting an offshore workforce of nearly 14,000 members, was working virtually around the clock. By the close of the second season’s follow-on activities, in September 1990, some 51,600 flight hours, largely representing high-workload helicopter and floatplane operations across remote and hostile environments, had been recorded on behalf of the overall effort, with virtually no mishaps and only a handful of incidents having been encountered, and with no loss of life whatsoever. Helicopters were, in fact, comprehensively indispensable throughout the entirely of post spill activities, but were especially valuable in March 1989, during the initial hours and days of the emergency. Reconnaissance, of course, was a first priority, as was the immediate deployment of large numbers of highly leveraged decision makers who felt rightly compelled to witness previously unimaginable conditions before an implementation plan could begin to be formulated. Float-equipped Bell 206 JetRanger helicopters were most readily available, and were well-suited to quickly getting small observation parties from Valdez to Bligh Reef, where the Exxon Valdez had come to such an abrupt halt, but larger and heavier Bell 212 helicopters proved to be even more useful. They were the flexible workhorses which allowed larger groups, often with photographic and various other recording equipment, a workable cabin from which sometimes critical improvisation could be accomplished. The 212s, along with a few Bell 412 models, using an advanced four-blade rotor design with essentially the same airframe, also began to set the precedent for multi-engine helicopter reliability, an element of the aviation safety equation which was to become, for many applications, an Exxon standard as operations matured. As the monumental scale of cleanup operations began to take form through late March and into April, aviation support grew. Free-floating oil from the holds of the grounded tanker had by now migrated southwest into the Prince William Sound itself from Bligh Reef, outside the Valdez Arm, and had made landfall on a profusion of rough and rocky beaches, including those of Naked Island, Eleanor Island, and the prince William Sound centerpiece, Knight Island. 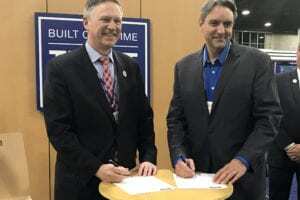 Era Aviation’s available helicopter resources had been augmented by other local participants including Alaska Helicopters, Kenai Helicopters, Maritime Helicopters, Evergreen Helicopters, Trans-Alaska Helicopters, Air Logistics/Heli-Lift, and others. 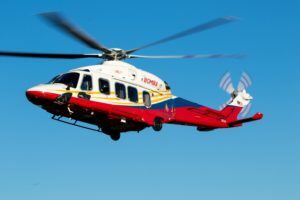 Demand was so taxing to local providers that even Petroleum Helicopters, Inc. (PHI), with primary resources located largely in Louisiana, responded with a significant contingent of its own, flown all the way from the Gulf of Mexico. As Alaska watched April race into May, the usually quiet Valdez Airport ramp began to resemble the scene of a major airshow. Fixed-wing resources were also in high demand during this period, and such providers as Pen Air, with its fast Cessna Conquest II propjet shuttles; Sound Adventures, fielding a small squadron of amphibious PT-6 powered Turbine Beavers and float-equipped Twin Otters; Chitna Air, with its own livery of floatplanes; and Mark Air, standing ready with Hercules transports prepared to aerially deliver chemical dispersants, if required. Era and others rose to their own individually specific occasions by further filling the Valdez ramp and, for the floatplanes, nearby Robe Lake. The Coast Guard, rounding out the roster, made its welcome presence felt with an array of Lockheed C-130 heavy transports, Sikorsky HH-3F heavy helicopters, and Aerospatiale/Eurocopter H-65 Dolphin medium helicopters. When the blur of resource buildup activity finally slowed, Valdez had seemingly become Hartsfield International. Procuring aviation resources is certainly one necessary organizational hurtle to be cleared in approaching a logistics project on the scale of the Exxon Valdez oil spill cleanup, but utilizing aviation assets safely and efficiently, particularly amid such an intense and exhaustively scrutinized chaos as the Exxon Valdez disaster, is quite another. Exxon, fortunately, was able to work ahead in this area and had begun organizing a command center intended to assign, manage, and track all the aircraft that were to be operated under an Exxon operations umbrella. Since the fleet was being assembled with a variety of equipment to be delivered from diverse locations by an assortment of companies, and since all its members would be working from a common list of objective while flying over the same uncompromisingly hostile terrain, some standardization was clearly a priority agenda item. Exxon mobilized its central command structure with a small group of impressively qualified and talented individuals who were able to begin development of a flight following radio network, commence implementation of a coverage pattern of strategic refueling facilities, and complete the writing and publication of a valid and workable project operations manual. These essential standardization processes, in addition to providing for a safe and orderly set of guidelines for aircraft operators, also made it possible for the clamoring groups of air transportation users to acquire reliable and appropriate levels of service. The Prince William Sound, spectacularly scenic though it is, will always represent a double-edged sword to safe air operations, as does all of southern Alaska. Clear weather unfailingly reveals wonderfully flyable landmark structure defined by dramatically beautiful terrain relief, beginning with a virtually sheer 6,000-foot ridge paralleling, and within very close proximity to, the Valdez runway centerline. The vertical nature of the landscape is uniformly presented throughout the coastal mainland and is obvious as a feature of nearly all the offshore islands. This characteristic, though, working in concert with the broad crescent shaped of the southern Alaskan coastline itself, sets up an amazingly sensitive weather generation system. Any Gulf of Alaska offshore atmospheric movement northward is forced into abrupt and extreme orographic lifting, rendering its ample moisture immediately visible, or worse. Moreover, the location of the geometric apex of the entire coastal landform configuration is precisely the Valdez-Cordova area. Since Exxon’s intent was to maintain VFR operations for all helicopter activities, and since Valdez is limited to only an LDA approach in any case, with a minimum descent altitude of well over 2,000 feet, rotary wing operators faced the inevitability of some weather interference to their operations, particularly since improvised offshore destinations, obviously, were to offer no approach or terminal facilities, and, in fact, since Loran C coverage was essentially the sole usable electronic aid to navigation in the area. By early May, despite popular news footage depicting well-intentioned beach cleaning volunteers wiping rocks with bath towels, Veco and Exxon had fabricated and deployed through the Prince William Sound large numbers of sophisticated and very specialized barges which could heat sea water and pump considerable quantities of that widely available commodity through high pressure boom mounted nozzles, and thus were capable of effectively removing oil from rocky shoreline structure. These barges were highly efficient at mechanically removing oil, but they required substantial logistics support, particularly in terms of personnel, and most of the cleaning sites addressed during this period were some 70 nautical miles from Valdez as the eagle flies, or more. Providing safe and workable living conditions for these large numbers of people, in remote sub arctic locations almost totally unaccustomed to any regular human presence, proved to be a challenge satisfied only by a massive infusion of further support. Floating hotels, or “floatels”, as they came to be known, were constructed and deployed. Medical clinics, grocery storage barges and distribution facilities, water supplies, fueling systems stations, waste disposal provisions, and communications hardware all had to be established accordingly, and aircraft contributed here integrally and immeasurably. Under the stresses of nationally illuminated publicity and its accompanying sensations of urgency, attended by a strong local “get the job done” predisposition, many of the pilots, particularly those operating the helicopters, became very resourceful at accomplishing their work during this initial staging. Coast Guard and Navy techniques of safely operating through wildly changeable marine weather conditions, while maintaining conservative operating margins, became familiar and routine. Flight following and area common VHF frequencies literally crackled with helpful advisories among aircraft, and a tremendous spirit of team cooperation existed, crossing individual aircraft ownership and company lines with complete transparency. Many of the pilots also became intimately familiar with the objectives of their individual passengers, particularly where regular surveys of shoreline work progress, for instance, developed as a steady duty, and were often able to assist in ways that went far beyond simply flying. Making the customer more effective than he otherwise could have been became a multi-layered goal of all representatives of air service providers, and helicopter project pilots commonly became central components in these sorts of successes. 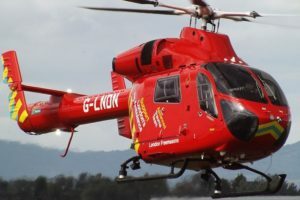 Once again, as so often happens where helicopters are concerned, the unique capabilities of rotary wing flying became obvious in satisfying a set of challenges where nothing else, within aviation or otherwise, could have worked. As oil was removed from unimaginably rugged shoreline, and was once more released into coastal waters as free contaminant awaiting recovery by “skimming” equipment often contained within complex configurations of floating “boom” barriers, only a close and slow moving aerial observational perspective could keep track. The loose oil, as well as the oil entrapped within the convolutions of the rocks, in many cases, just couldn’t be detected from ground or sea levels, and work simply could not be directed without complete and immediately current information about the location of all the oil at any given moment. So, “Field Ship” assignments, frequently placing light single engine helicopters such as the Bell JetRanger into perfectly appropriate roles, became common. These work observers became regular accessories to shoreline cleaning operations, and, as procedures were refined, came to be expected as normal beach cleaning equipment, albeit flying busily overhead. The Eurocopter AS355 TwinStar became the “mini-workhorse” for light personnel transport over extended routes during summer activities, reflecting a widespread recognition of the advantages of twin engine reliability and a universal appreciation for keeping everyone out of killer whale-infested cold water, even though the Bell 206s generated a thoroughly comparable record in keeping people dry. All offshore helicopters, of course, were equipped with emergency floatation gear, pneumatically deployable in an instant, and all flying personnel were issued personal floatation and survival accessories, but Exxon’s precautionary provisions in preparing virtually everyone for water survival, thanks to excellent performance by air providers and their maintenance professionals, were never put to the test. 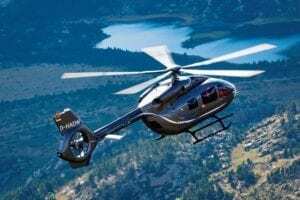 While light helicopters gained a prominent place in summer activities on strength of numbers, the Bell 212s, along with Eurocopter Super Pumas and other larger helicraft, were also hard at work. Larger groups of observers, particularly equipment-burdened camera crews and other related media representatives, found the 212 cabins useful in accommodating their often extended endurance needs, especially since at some points in the chronology of media coverage of post-spill activities there seemed to be a shortage of photogenic illustrations of damage, and long periods of flight proved necessary in order to find oiled wildlife, for example, or evidence of fish kill. Also, the logistics which go along with expanding areas of operation generated workload for the medium and large helicopters. Operational base centers were developed in Cordova, to the east of Valdez and the Prince William Sound, along with Hinchinbrook and Montague Islands, entailing the transport and installation of VHF radio repeater equipment and facilities. These repeater sites were necessarily chosen, of course, as points of high terrain, so the “helicopter as delivery truck” became critical in compounding ways. Expansion to the southwest into the Gulf of Alaska also became emphasized fairly early during the summer of 1989, as winds and currents swept oil from the Exxon Valdez out of the Prince William Sound itself, in ever lessening concentrations but in every widening areas, toward Kodiak and beyond. Cleanup operational bases were brought on line in Seward, Homer, and in Kodiak itself, requiring not only radio network hardware development but remote fueling facilities as well. To say that helicopters begot helicopters is surprisingly telling when it is considered that Era Aviation, with its Super Pumas and 212s, was a primary provider in the sling load transport and installation of heavy fueling stations, complete with 3,000-plus-pound jet fuel bladders and pumping equipment, all which served to make further helicopter operations possible. The airplane operators were also becoming conspicuously busy during the summer of ‘89, with Jim O’Mera’s Sound Adventures perhaps more saturated than most. The DeHavilland Turbine Beavers, fitted with legendarily reliable Pratt & Whitney PT-6 engines, along with the float-footed Twin Otters, were continuously legging between working areas in the Sound, Robe Lake, and Anchorage’s Lake Hood. These dependable transport machines, along with Pen Air’s Cessna 441 Conquests, continued to be favorite tools of Exxon’s higher levels of visiting supervision throughout all cleanup activities, and remained so to their conclusion in September 1990. Read the second part of “Wake of the Exxon Valdez” story in next week’s Rotor & Wing Collective.